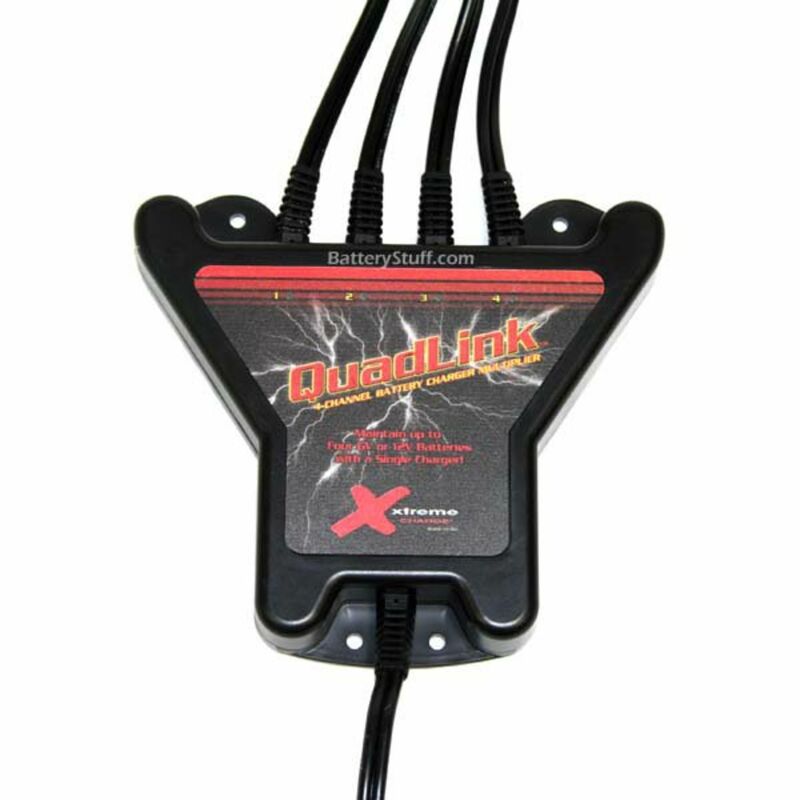 QuadLink 4-Channel Battery Charger Multiplier from PulseTech. 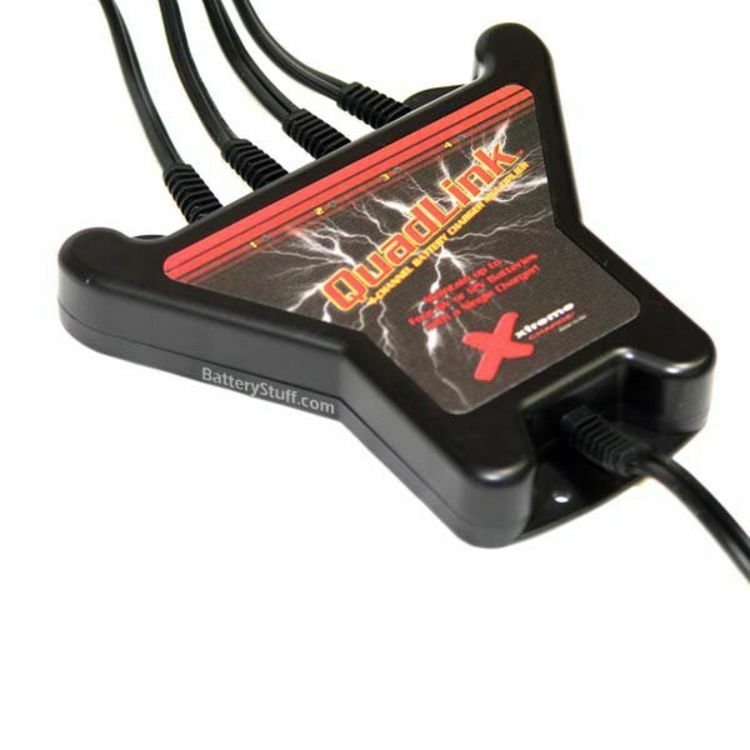 Maintain up to four 6v or 12v batteries with a single station charger! Innovative adaptor works with ALL popular battery maintenence charger brands. Solve the problem of power hungry vehicles and aftermarket accessories with QuadLink and turn your single station, 6/12 volt battery maintenence charger into an efficient workhorse, multiplying its charging capacity by four times! Automatically split and distribute 10-minute charge segments to each of four charging channels connected to up to four vehicles or battery packs! Do you own the XC-QL4? Please, tell us what you think about it. It helps us provide you with better products. Please note that it may take up to 72 hours for your review to appear. 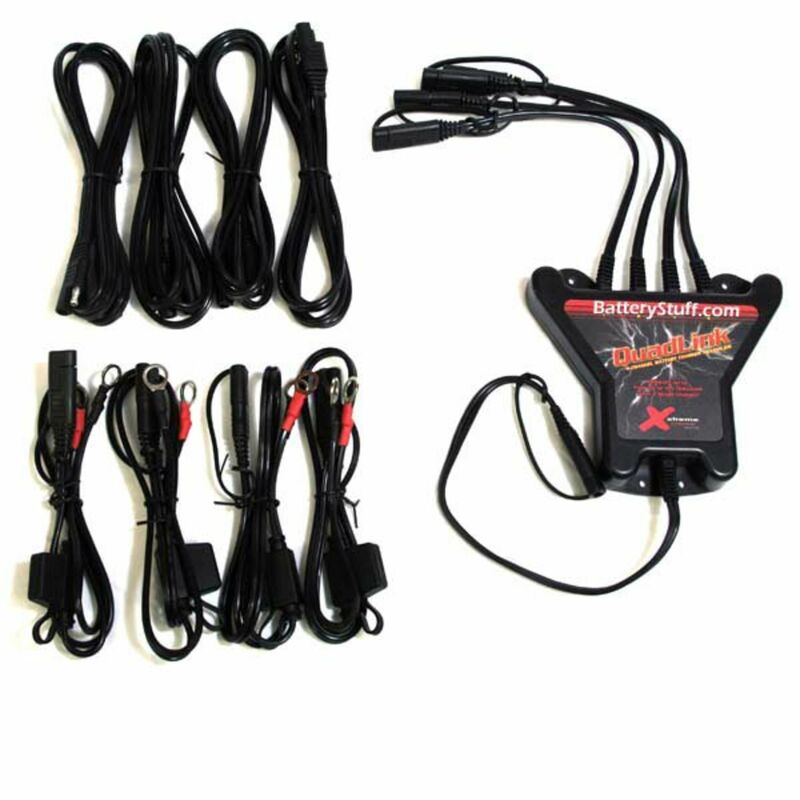 I purchased this product and installed it using only 2 channels on my RV chassis and house battery banks with a 750mA battery tender. The product has been in use only a few weeks, but it appears to be doing exactly what it is intended to do.